Nike understands we crave matching accessories and has launched four new straps for the Apple Watch. 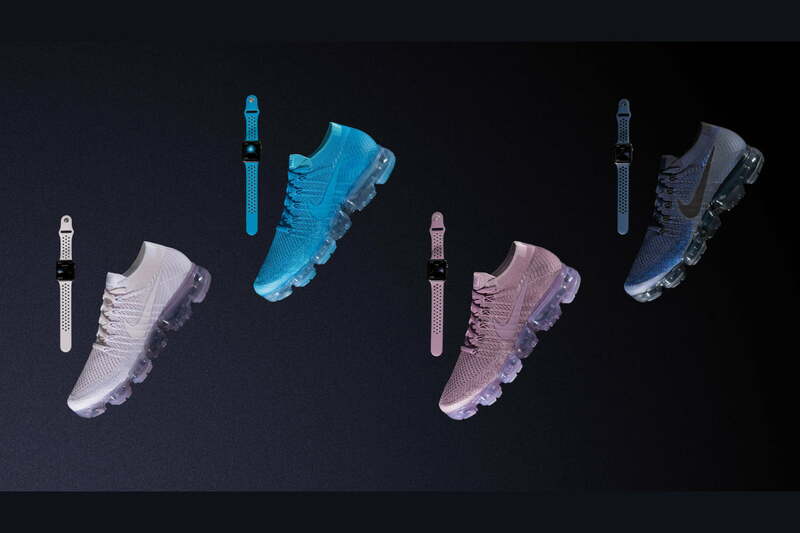 They join a wealth of other bands and straps available for the Apple Watch, but these are a little bit special, as each of which comes in the same colors as the Day to Night collection in its Air VaporMax Flyknit sneaker range. It’s the latest made-for-Apple product from Nike, a partnership which has reignited recently after the launch of a special Nike+ Apple Watch, and another standalone strap. This time, Nike wants you wearing both its Watch strap, and a pair of brand new Nike shoes. The Day to Night collection is inspired by the colors of the sky, seen when running during early morning, day, evening, and night, translating into shoes in pink, aqua blue, powder blue, and dark blue. You’ve got the shoes, and you want an Apple Watch strap to match, right? The four Apple Watch bands come in corresponding colors, and feature the same cool perforated, hole-punched look that defines the Nike+ version of the Apple Watch released late last year. While the original band was black with green accents, these are way more colorful; and are made from the same lightweight and sweat-resistant fluoroelastomer material. Wondering what this feels like? It’s the same thing Apple uses for its own Sport bands. These new Nike Sport Bands will be sold through Nike’s own online store, plus some of its retail stores, and Apple’s retail and online stores from June 1. If you want one, they’ll cost $50 each, while if you want a pair of matching VaporMax Flyknit shoes to go with it — and let’s face it, that’s the whole point — they will also be released on June 1, for both men and women. The Day to Night collection’s release follows the general release of the VaporMax series back in March.